This episode features Gabe Trionfi, the Manager of Research at Pinterest. We discuss the evolution of user research, collaboration between disciplines and the journey versus the destination. Steve:	Let’s start with the introduction. Tell us who you are, what you do, where we are today. Gabe:	Yeah, so my name is Gabe Trionfi. I’m the Manager of Research at Pinterest. I’m a researcher. It’s what I do. It’s what I want to do. It’s not the journey, it’s the destination for me. I’ve been doing research for about 10 years. I’ve been at Pinterest for about 3 ½ years now and we’re in the office, third floor, new headquarters for Pinterest. And we’re in Alberta, a Canadian province theme named room. Steve:	We have two Canucks talking research. Steve:	So you made an interesting comment about it’s the destination, not the journey. Steve:	So could you explain that? Gabe:	Yeah, I think for me when I think about research it’s my career. It’s what I want to do and I always want to be doing research in some way. I have the opportunity now at Pinterest to manage a team. It’s my first time managing a research team. I’m always going to want to work as a researcher in some way. I’m not looking to become a PM or a head of product. I want to be involved with research. I also think it’s interesting to think about a career path. Like I’m looking for a positive trajectory for my career, but whether it’s being a manager or an individual contributor, that’s like not the most important thing. The most important thing for me is are we working on something that’s interesting? Is there an interesting research question to be have? Is there a product that people are going to be using? That’s really important. Are we shipping stuff that’s making people’s experience better? I want to be a part of that. Steve:	But some of that isn’t research. Steve:	Some of that is the thing that research informs. In the context in which you’re doing research you want to have a good question, but you want someone to make stuff out of it. Gabe:	Yeah, so I think sometimes when we talk about – in design or creative disciplines like writing and research, people are like well you’re a manager now. Are you always going to be a manager? Or does it mean less if you are not the manager? I would much rather be – go forward and have a role where I was a researcher on something interesting that people were using vs. always choosing to be a manager on something that people weren’t using or was potentially not that interesting from a research perspective. Steve:	You mentioned to me before, outside this interview, that you have a history in theater. It’s almost like you want to direct, but you don’t want to give up your acting jobs? Gabe:	Yeah. Yeah. Or it’s all part of acting. It depends on how you think of it. I think it has – there are some really interesting parallels. So I had never managed a team or built a team. At Pinterest I was the first researcher. There was like an opportunity where they said do you want to build a team? I said I want to try that. I didn’t know what it would be like and there’s been a ton of learning. Obviously when you’re first out of the gate you don’t know enough to be great, or even good, but you learn over time. The one thing that was interesting, taking it back to theatre, was I found that building a team reminded me a lot of casting a play because when you’re really putting together a great research team it’s not just skill sets. It’s not just experience, but it’s also understanding how will these people interact with each other when we’re building knowledge together? How will they be perceived as a group, as individuals? It’s like casting a play, like how will this actor relate? Or to this other actor that we’ve already cast? Do they have chemistry? Do they represent the relationship of the characters well by the way they look and what they sound like? And that was really surprising to me. It’s been a really fun part about building the team at Pinterest. Steve:	I want to follow up on that, but I also want to go back. Let’s just go back to a few different things here before we lose them. You opened with this big idea about the journey and the destination so now I’m going to pick it apart until you wished you’d never said it to me. Steve:	Because I – I mean I feel like you’re describing problems that are sort of journey problems not destination problems if that’s a way to slice it. Like you cast a play, you can be expert in it and you can know all these actors and know what their strengths are and you can do the right kind of – what’s that audition where you see people play off each other. Like a screen test or whatever that is. You can do all those things, but it’s still an emergent thing. You don’t know. Steve:	I have not been doing this since the early 60s. Just for clarification..
Gabe:	Yeah, the field goes back. You can even go back to World War I or World War II cockpits in air planes. The sort of human factor, early ergonomics. That’s sort of the seed of a lot of this stuff. ’63 is when the Royal Design Conference, right, in England – the Royal Academy of Design – they start talking about research for the first time. Engineers start talking about design and research and really what it means. So it’s a discipline that the idea has been germinating for awhile, but I think in practice every day it’s still fairly new, especially when you get outside the context of physical products and service design and you get into like pure software technical. The majority of people I work with here have never worked with a researcher before. And so that’s a challenge because you’re sort of still at the beginning and sometimes you can do really incredible work and people may not know that it’s that good because they actually haven’t worked with anyone before. And that’s sort of humbling and interesting and it’s a challenge at times, but it’s also a huge opportunity. So that’s interesting. I often talk about research being early like – you know the difference between Joe Namath and like Super Bowl 3 I think – who’s like a big time football player. He is the quarterback. He’s sort of glitzy and everyone knows him. He’s the underdog. He says they’re going to win. They win. He’s like celebrated on a bunch of magazine covers. But it’s like in the 60’s, the NFL. So like he goes home and has a Schlitz or something, right. Like he kind of has a regular life. Fast forward like to the 80’s. It’s Joe Montana, right, for the San Francisco 49ers, who wins a bunch of Super Bowls. He then – he’s a big deal, like Joe Namath, but like he goes to Disneyland afterwards and he gets like a lot of money and he’s super wealthy and commercials and whatever it is. The difference between Joe Namath and Joe Montana, we can argue about it as athletes, but the main difference is timing. When were they the quarterbacks of the Super Bowl winning teams and sometimes timing, when you’re at the beginning that’s just a constraint. It’s just part of being at the beginning and I think that research has a long way to go as a discipline and there’s a ton of opportunity, but like if you’re a researcher 10 years from now you’re going to be standing on the shoulders of schlubs like ourselves who had to do it in the early days. It will be way better then because people will understand it and also the market will shift in a way that will require research or something like research to inform product development. Because it will be more competitive. There will be more services and apps within the same space that need to differentiate from each other. So timing, where we are. Steve:	Where are we between Namath and Montana? Gabe:	That’s a good question. Steve:	Is there a visual continuum here and we could get the whiteboard out? Steve:	Let’s just challenge that. A recent issue of the New York Times Magazine was all about work and so this article, this article, this article. There was one – it was really about people eating at their desks, but the side bar piece – unfortunately I don’t remember the name of the person, but the side that kind of goes with the article that supports this photo essay says so and so, an ethnographer, is like the first thing. And it was not an article about oh these people are like anthropologists in safari hats going into corporate America. They didn’t go that thing that journalists were doing 3 years ago and 15 years ago which is ooh, look how weird this is. They were really just – it was sort of incidental and characterized the fact that like hey there’s an expert who’s watching people eat lunch at their desks. To me the cultural moment there is like this is a thing that we don’t have to just point to it and go oh-ah, we can use it then to tell another story. So that seems we’re – I don’t know if we’re taking this person to Disneyland, but we’re not having Schlitz. Gabe:	Yeah, so I think this is an important point which is – like in research we often pay attention to context, so my context today is within tech, within start-up land. I think when we look at research trajectories in terms of its development as a discipline it actually tracks differently across different contexts. So I think when you look at physical products, service design, I think that industry what’s happened there, that collection of industries with research is far ahead of where we are within tech. Steve:	You think tech is behind? Gabe:	Well I think tech is tracing the trajectory. To me it looks the same and I think it’s headed in the same direction, but I do think it’s at a different point much like just the industry, the current modern industry, like post-Internet, apps, software design – it’s fairly new itself, right. And so with a lot of new industries, especially industries that have access to a lot of data, right, even the history of psychology itself has had moments like this where people think it’s all about this type of data, this quantitative data, right. That’s how we can – we’ll find the future opportunities within that and then we realize like well actually one type of data may not be enough. We need different types of data. And then we might switch and say like well I’m going to do this other thing, or I’m going to do this other type of data acquisition or method, right, and then really mature fields, they come to usually a realization which is like yeah there’s no one thing that’s going to do it for us. We need multiple things to try and understand complicated phenomena and then within that, especially within the world of business and tech, then you’re still going to have make a risky call because again none of this data can tell you the future. It can paint out trajectories and possibilities, but you still have to take a risk. I want to work at a place where someone’s going to be able to understand the data, triangulate and then make a strategic decision that’s going to lead to a better outcome for the people using it and the people working on it. So I think that when we get over – again, some disciplines, some industries in the beginning there’s things that seem easy that are a lot more complicated than they seem. The example I always give is like the common thing is qualitative versus quantitative data which of course they both have subjectivity embedded in them. They both have trade-offs. They probably should be used appropriately which is what’s your question, then let’s choose a method that fits the question. But the metaphor I always say is like I would never hire a general contractor to build my house who is like I only hire carpenters who use hammers. There’s no screwdrivers on my site. It makes no sense because what should determine the tool is the rest of the context. So let’s not use a hammer on a screw. Let’s use it for nails and let’s use a screwdriver for screws. And that’s the same thing for me about methods which is it doesn’t matter what the tool is. What matters is the context and what is the appropriate design to get at understanding the question and also the outcome goal. What is our goal? What are we going to do with the answer? Those are the things that are important to me. Steve:	So you could start to sort of map this trajectory of research and tech and look at well what were the predominant tools – if the tools are a proxy for what questions are we asking, we might just have people showing up with hammers. I remember the point at which Microsoft got usability. Like that was going change – and this was I want to say early to mid 90’s and there was a lot of press about, like the physical rooms they were building. I think I went on an interview there and went on a tour there and you realized oh they’re just going to like run, like huge – I mean they’re going to do usability testing at scale. You know the word that we like to say in research or everyone likes to say in tech I guess, about at scale. They were really going to scale the hell out of this and sort of usability their way into something. And there wasn’t a lot of – I mean that was leading edge thinking back then. And I think as you’re describing this trajectory or this changing context it’s about the tools and the tools are the thing that we can see more easily. I don’t know what design questions were being asked of Microsoft, but I can infer based on the fact that this is where they put all their money. So I think you’re sort of describing a long time ago already, you’re saying now we’re like starting – we’re at a point where we need these tools and we need to be asking these questions. And so – I don’t know. Is that fair, the recap? Gabe:	Yeah. And also sometimes the context is like within software and apps the marketplace actually comes to bear on the types of disciplines you need to invest in to differentiate. So if we’re in a marketplace where everybody has a really high quality engineering team, everybody has a really high quality design team, and we start stacking the disciplines up and you’re going to enter in sort of the messaging as UI which is really popular amongst a suite of apps today, right, where you’re just – it’s a concierge service or an on demand service that is using the interface of like a traditional SMS app. There’s a bunch of them out there, right. They all have great designers. They all have great engineers. They have great marketers. They need to understand how to differentiate from the other 5 apps within their space and they’re going to have to invest in something. They could invest in partnerships with other companies. They could invest in celebrities, right – to sort of like build their awareness. They could invest in researchers to try and understand what is most meaningful about this experience that they’re building and what are the opportunities to separate themselves from the other within the space. So some of it is disciplines and methods over time. Some of it’s the market itself becoming more competitive and sort of more compressed in terms of offerings out there. Traditionally design has been used in recent years to separate or differentiate, right. And I think research follows design and if you don’t have a designer it’s really rare that you have a researcher because design is working on the experience on the front end of software that people see and think of when they think of an app or service. If you’re not investing in that you’re probably not investing in like a deeper understanding of your audience’s needs as a way to differentiate. But like the classic examples – like Target hires a famous designer to make like toilet bowl brushes that are really pretty. That’s a way to differentiate from others within their space who are smell – who are selling commodities like that. I think research can – will and is having the same sort of role within tech as more and more apps and start ups start to fill into the same spaces. It’s not about building the infrastructure, say plumbing the Internet with social connectivity. It’s about like okay there are 5 financial service apps now that are redefining the loan space, how are they different from each other and how can we ensure that ours is the most relevant to our audience? Let’s get a researcher in here to help with that. Steve:	I think what I heard you say though is at a strategy level there’s a lot of different things that we could do if we’re trying to differentiate our financial app. So we could try to get Leo and his posse to use that. Or whatever sort of way to generate attention. We could have a controversial CEO that makes outrageous comments about people. Or we could change our pricing model. Or we could – there’s a lot of things that don’t necessarily come from a nuanced insight about the world. It’s just sort of differentiation for its own sake. Or there’s a strategy there and one of those out of – let’s say there’s 20 obvious ones – and I can only come up with 2 right now – I’m just parroting you back. So one of those might be let’s invest in experience which means investing in design, investing in research. Gabe:	Also writing. Writing is a similar discipline to me than research within tech now. It’s newer. Usually it’s working across many different teams within a tech company usually. 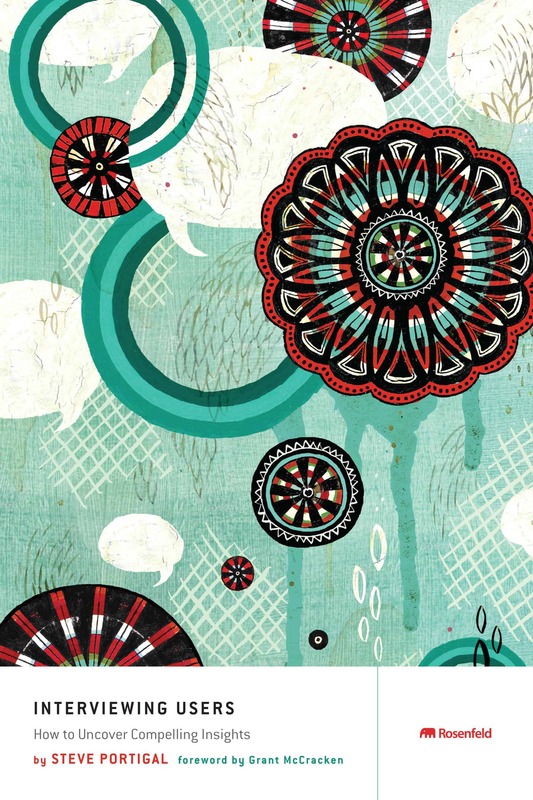 It’s critical, like what is the voice of your brand, but also of your product itself. And I see a lot of – I work with a lot of writers here. Tiffany Jones Brown started as the lead of the writing team here, has since become a Creative Director. She has a great team of writers that I’ve worked with before. Building a relationship with that team, I feel just a commonality or similarity in terms of where writing is as a discipline. And the – if you invest in writing it says something about your strategy when you have a tech oriented app or software service. It says like hey we want to make sure that people feel differently about our brand or about our product. And you see a big differentiator in lots of tech companies now in terms of how do they talk to their users through their product. And so again it’s just another strategy that you could invest in. And research, and a suite of different research disciplines is part of that. Also data science can be part of that. Business analytics can be part of that. Ways to, you know, bank capital, not just monetary but like understanding. Like you can bank a lot of knowledge as capital to inform your strategies or to help move your product forward. Steve:	If I take a naïve look at what you’re describing I feel like there are some disciplines that are output disciplines and there are some that are input and by that I mean, you know, writing is crafting the words that go on your website. Engineering is the code. Design is the pixels and every designer – everyone is rolling their eyes at that. That’s a really, it’s a very broad brush, but research is an input to decisions. Business analytics is an input to decisions. I don’t know if that’s a fair – if it’s that binary or not. Gabe:	I think about it similarly. So I think about it as a suite of disciplines that are about indirect influence. So I’m a psychologist. I’m not going to build something with regards to the software that’s going to get into the world, but what I’m building is understanding or knowledge, but also sometimes creating experiences that are inspirational. I talk a lot about information and inspiration as part of the research role that is going to indirectly influence that thing that enters into the world. Sometimes there’s a one to one. You can just say like hey that decision there was based on this work over here. Sometimes it’s much more diffuse in that the whole host of teams that are actually contributing to the output – the most important thing is I want to work in an environment where research is a part of that, whether indirectly or directly, and it’s not something that’s on the side or separate. I often talk about like Sherlock Holmes and Dr. Watson. Like I’m very happy to be Watson to someone’s Holmes because I think that’s a real role and those Holmes stories wouldn’t be the same without the indirect influence of Watson, right, sort of guiding, informing, being a foil for Sherlock as he goes ahead and builds the solution to the mystery. And I think indirect influence is really interesting. Really hard to do. It – sometimes it’s easier just to like come in and say we should do this and then people do it, right. But to sort of like change people’s perspective on something they think they know very well, but actually might be very different outside of their own social circle or their own sphere of experience – let’s say on the other side of the planet there’s a different culture, different country, a different type of person who’s using your product and perhaps they just have a different mental model that you didn’t even know existed. Bringing that back, but also not just a shock, but to potentially influence, like oh hey perhaps we should think about this a little bit differently. Or perhaps it’s another way to think about it, that there’s not just one way to think about our product, there’s actual multiples that we should keep in mind. And that’s a good thing because it means the product is relevant to lots of people and complex and so it’s not just a simple like P2P commerce, like I’ve got this thing, do you want to buy it? Yes you bought it. Cool, transaction, safety, all that sort of stuff. It’s more complicated than that in some cases. Steve:	So I think research has suffered from the sort of the naïve Dr. Watson – well not that Watson himself is naïve, but if you take a shallow look at those stories Watson is merely the chronicler. He’s the sidekick. He doesn’t do anything. He and I – you know, you do the close reading that you do and you see what he enables and how he kind of supports and I think that’s the beauty of those stories. You kind of go at them a little bit deeper and you realize there’s a complicated thing going on and that it – the more you invest in learning what those stories are about the more they kind of pay off. So just to bring it back then to research – research has maybe historically been viewed at the way we naively view Watson, that research is just asking people what they want. Sort of chronically things and reporting them back. And research as you’re articulating it, and of course I agree, has the potential and does more often now play more of that influential, maybe Holmes is the one that gets brought to Disneyland. I’m going to crush all metaphors together. Like Holmes is the one that gets carried on the shoulders but the researcher is – ugh, I can’t untangle this here. So I guess I’m trying to ask in a really twisted way here is about you know what are the things that you’ve seen or that you’ve practiced to give you the chance to play Watson, to enable things, as opposed to being relegated to a mere chronicler? Gabe:	So, I think this is an important question. So for me I had one experience. My sort of first design research job was at IDEO and IDEO is sort of at one end of the scale design thinking to an extreme. Huge opportunities to do different sorts of work and to really be part of a deep, embedded process. Then I worked at Facebook which is an engineering company and it has a very strong engineering first perspective. So when I was thinking about my next destination I was thinking about what lies in between? What are the sorts of things that are out there? And there were a few companies and I think at the time the commonalty is they all had founders who were designers. And I think when you have a founder who’s a designer there’s an awareness of what research might be. There’s an awareness of the Watson role and its power in terms of creating new ideas or – and I think you want – I wanted to try and see if I could work at those places. Pinterest was one of those places. So Evan Sharp is a designer. He’s one of the co-founders along with Ben Silbermann. And so Evan knows about research. He’s not an expert in it. That’s important, but he’s open to it. He’s interested in it. And so that’s why they brought me in. I was about – there was probably about 70 employees when I joined, which at the time some folks thought well that’s early for a researcher, but if you understand what research can do it might not be that early and in fact the broader field we see now – I see startups all the time with a handful of people who are bringing researchers in when it’s relevant to what they’re doing. So to tie it back to the metaphor, to me it’s important to be at a place where the Sherlock wants the Watson to be there because a lot of times that may not be the case. And so Watson’s ability to contribute is limited by the partner’s desire for input. I think at Pinterest there’s a big desire for that. It’s a really interesting place to do research. Very open, very focused on the audience that we’re trying to reach. In part it’s probably due to, you know companies have lots of values. Evan will talk about this. I think the one, the value that I think is really unique at Pinterest, and differentiating, is something called “knit” which is how we talk about interdisciplinary collaboration and respect. It’s understanding that there are many people who can contribute to successful outcomes at the table and we should understand each of their disciplines, strengths and weaknesses and we should leverage their strengths. So “knit” is very Pinterest, knitting right, like weaving together disciplines. There are a lot of starts where that sort of multidisciplinary approach is not part of what they do, culturally or strategically, and it’s a huge part of what’s happening at Pinterest, whether it’s Community Ops, Design, Writing, Brand Design, Marketing, Research. There’s a whole bunch of disciplines – Data Sciences, Business Analytics – that are all working together very closely – Project Management, Product Management – to sort of put together what it is Pinterest does. So that context, that environment that’s willing to accept what you have to offer, but also try to like embrace and really use it. That’s important for research and I think that’s a choice you have as a researcher. If you seek those places out you are in part prototyping or designing your own experience. Versus going to a place where you might know from the outset they want a research, they don’t know what researchers do, they’re not certain that they will use the research. And that’s usually pretty clear in the hiring process or early on. And I think that’s not to say that’s a lesser than experience, but it certainly is one you’re choosing as a research practitioner in terms of your daily experience. Steve:	Or you should be aware of that? Steve:	And you’d do well for yourself to know that that’s what you’re choosing. Steve:	I think I saw an artifact of the knitting culture. In the men’s room there’s some Python script coding advice hung over the urinal and the title for it – I don’t remember what it said, something about like python knitting or something. Gabe:	I think it’s called – officially those posters are calling knitting in the bathroom. And there’s someone – an engineer here is – there’s I think a couple of them working together to sort of pass on tips and tricks for certain software languages by putting those up in the bathroom stalls. Steve:	It’s not the only company where I’ve seen like technical advice in the bathrooms. Steve:	But the knitting – I didn’t understand the knitting reference until you kind of explained what that means culturally. Gabe:	Yeah, absolutely and I think it’s – you know again there’s a lot of great – we have other values at Pinterest that are great. But I think that one is really unique. Again this idea of – for me it hearkens back to some of the experiences I had at IDEO. This emphasis on multi-disciplinary approach to design challenges. I think it does lead to different outcomes. My background, I have an undergraduate degree in theater and I care a lot about process and how we’re doing what we’re doing together and so again that part of Pinterest and being a researcher at Pinterest is real exciting. Steve:	So we never resolved this. Again, I was kind of picking at you at the beginning when you talked about journeys and destinations as things that you – and so I think I understand as you explain more that being a researcher is a successful state for you. It’s not a stage to get to something else. But when we kind of break the world up into journeys and destinations I mean you – theatre is about the journey, right. The payoffs are – and you said someone who cares about process is someone that cares about the journey. So I think I got hung up a little bit on how you were using that phrase and I jumped all over you, but I appreciate finally we have – finally I have clarity. So thank you. Since we haven’t talked about this at all can you explain what Pinterest does? Gabe:	Yeah. 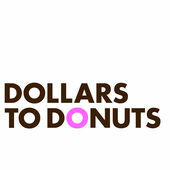 So if you listen to Dollars to Donuts you’ve heard that Pinterest is the world’s largest catalog of ideas. The question is like what does that mean? And I think at that – at the heart of that is like an interesting conversation for researchers, but also an interesting characterization of the opportunity and challenge Pinterest has. So Pinterest is very different than a lot of the apps or services or companies it’s often compared to. For a long time the press sort of positioned Pinterest as another type of social network. Pinterest is not a social network. It’s a very personal experience for the people who are using it. It involves things like saving things that you want to then go on and do or plan or make or cook or buy. But a lot of – when you do research with Pinterest you are really deep into it. They see it as this very personal moment. Sometimes people will even – again it has to do with discovery of content, the things you care about. Sometimes it has to do with learning. There’s lots of stories here from Ben our CEO talking to people early on where they would say to him anecdotally like I didn’t know I had a style. Like I didn’t think that was part of who I was, but then I started pinning clothes or things for my home and one day I was looking at my board about my living room – you know best living room, or like my dream living room – and I realized like wait a second, seeing all those things together it all sort of snapped for me. Like I’m – this is actually my style. This is what I’m into aesthetically. There are a lot of moments like that I think for Pinners because it’s very personal. Steve:	A Pinner is someone that’s using Pinterest? Gabe:	Yeah, someone who is using Pinterest is a Pinner. Someone who works at Pinterest is a Pinployee. We’ve got a lot of pin puns going on here, at the Pin Factory, which is what I call it. Steve:	We’re going edit all those out. Gabe:	So back to the point, I think Pinterest is personal. It’s done in a way where it’s in a public space, but it’s not social in the same way many social networks are about broadcast. Like this is my identity. This is what I’ve done. Pinterest is really about – it’s about aspirations. It’s about anticipating. Like I want to do this trip so I’m planning it. And then it’s about participating. Participation on Pinterest is not within the digital space. It’s within the analogue, the real world. The part where you have this pin for this recipe and then you go cook it. You make it, you serve it. Whereas other social networks are often about broadcasting in the moment, like real time, or they’re about broadcasting this happened. So they’re sort of reminiscing or looking back on the event. Where we see Pinterest is used to plan, you know, in the US Thanksgiving dinner. You start seeing people pinning Thanksgiving recipes months in advance. Halloween costumes is a big – DIY Halloween costumes is a big thing in the US on Pinterest and people start looking for those how to do – you know put together their dream costume, the best costume, the cool costume, like 2 months in advance of Halloween. So that Pinterest is a personal experience. It’s about planning to take action in the future. It hopefully supports you taking that action because you have the information you need. It’s very different then a lot of other services. So what does this have to do with the catalog of ideas? I think the important bit is we see in all of our research, market research, qual, quant, that this idea of a place to find ideas is differentiating. It’s useful, it’s fun and people enjoy that. The challenge is when you sort of – you have to contextualize that. From a marketing perspective you have to say you know okay what about a place to find ideas. A place to find ideas is not enough context. So there’s been different ways we’ve approached that. For some period of time we talked about bookmarks. Some period of time we talked about – more recently we were talking about like a physical thing like a catalog where you go and browse and discover lots of ideas. The key thing is the ideas bit. We know that’s important. The question is how do you contextualize that, not just for a US audience, but actually for a global audience and that’s really challenging. Pinterest itself is based on you know a metaphor of like a pin and board – pinboard. The challenge is that that doesn’t actually internationalize. Not every country has a tradition of a pinboard with a pin. And so how to provide context for what this thing is and it’s not – you know it would be easy if it was just like oh it’s a social network for, I don’t know, saving ideas, right. It’s not that though. That’s not really the core. And so how do you contextualize that? That’s the challenge. So as we think about different ways of messaging to audiences, especially audiences who are not using Pinterest today – there’s a ton of research we’ve done. There’s a ton of research to be done as we look for that really killer way to describe a complicated and robustly powerful product to people who don’t know what it’s about. And that’s an opportunity for research, whether you’re a marketer researcher or quantitative researcher. And it’s part of what the team has worked on and will continue to work on with our partners in writing, marketing and then just even overall strategically, like the decision makers of Pinterest. How do they want to – they have to go and speak to the press. This is something they’re saying all the time. They need to feel that it’s accurate, that it’s representative and that it really gets at the – the core or the central sort of essence of what they think the product is and will be in the future. Steve:	So I asked you what the product is and you describe sort of the research and strategy journey of trying to describe it – to answer that question in the way that sort of has the most benefit for Pinterest and current and future Pinners. Steve:	But I’m going to ask you again, like – I mean as you say people are out there now talking about it. So you kind of said – you took the phrase catalog of ideas and then you unpacked it into all this wonderful stuff which I think tells us what kinds of things you’re thinking about and what your work is meant to address. But just for that person that’s scratching their head right now and going like okay, but what is Pinterest? Gabe:	I gotcha. It is a place to save ideas digitally, to discover ideas related to the things you’re interested in and then to go and do the things that you have saved and discovered. So it’s about saving, discovering and doing. Steve:	So what kinds of digital information are people saving? Gabe:	Well I think we’re limited to digital today, but it could be many, many things in the future. It could be saving many types of objects. Right now we’re within the space of like the Internet. We see the – the most common use cases are we see a lot of folks use Pinterest for recipes. Planning daily meals is a huge part of what pinners. Also like discovering or trying new recipes, especially if you’re into that. It’s often about doing, right. Another popular use case – trips and travel. Like right now you want to go on a trip so you go to various websites and maybe you have a folder on your computer or a piece of paper – you’re writing down like where do I want to go when I’m in Hawaii? Where do I want to stay? You can save all those things to a board on Pinterest which is similar to a folder, but it’s within the bounds of Pinterest itself. You can save those links. You can find them on Pinterest. You can find them off of Pinterest and save it to your Pinterest. So that you can go to one board and have all the ideas of what you want to do on your trip when you go there. And you can access that when you’re actually on your trip, right. We also see a lot of people who use Pinterest for fashion, whether it’s discovering new trends or thinking about inspiration for what they want to wear. In fact there was a story this week in the – oh gosh, I can’t remember the newspaper – and this writer had talked about – she let Pinterest choose her outfit every day. So what she would do is she would take out of her closet an article of clothing she had – let’s say a pencil skirt. She would go to Pinterest and type in pencil skirt and she would look at the most popular street style or fashion images of people wearing pencil skirts. Then she would find the one she would like and then she would mimic it with her available wardrobe. So every day she let Pinterest dress her. Again, that really critical thing there is 1) she was looking for ideas, 2) she was then doing it and what was also interesting about it is that she was using Search. We see Search as being a huge part of a lot of Pinners experience in order to find those ideas. But Search I would say is a little different on Pinterest. The Search in this case, and what we see across many people using Pinterest is it’s not to find one idea that’s like the right idea. We don’t have a ranking algorithm that puts the right idea at the top. When you’re in a discovery system or a discovery mode you can search for outfits with pencil skirts, but there are many possibilities in front of you. You are looking across this set of data or images that’s about discovery and you’re trying to look at not just the best, but there are some that are good and there are some that are even better to make or to learn or to discover something that you want to then go do. Steve:	So you described before this – you know your own professional path a little bit and that you sort of found Pinterest as a company that was in between maybe other places you’d worked at in terms of what was research and how it was understood. But as you’re talking about Pinterest and what’s going on and what you’re interested in exploring, there’s also a unique class of problem that I hear you kind of digging into with joy and I don’t know if that’s the culture or you or what. And that is we don’t know quite exactly what this thing is and the best way to talk about it and it’s changing and people are inventing new things for it and the world is culturally diverse. So the fundamental, like what is Pinterest and how do we describe it and how do we build for it is – like that’s a hard problem. It’s a dynamically shifting problem. I mean did you know that’s what you were getting into? Gabe:	Well I have two answers. So the first one is like – the first one is sort of addressing the like what is it, it’s dynamic – like I think there’s something really interesting about Pinterest which makes it unique, which is again opportunity, but also challenge, which is there’s a utility element to this, right. It helps you to get things done. It helps you to find the things you want to do. But it’s not just a utility. It’s not a task based software. It’s not about lists per se. Although you could visualize pins and boards as lists, right. But it has this other element that I think is related and unexpected which is it has this way of conveying or inspiring people to think about possibilities. To discover things that they didn’t know about and to learn something about themselves. And it does this in a way that – we know from research that people really enjoy the aesthetic presentation of this information. They think it’s beautiful. And so, you know people can get – we interview people and they talk about my Pinterest time, right. They’re on their couch on a Saturday morning. They’ve got TV on in the background, maybe some Netflix. They’ve got a big cup of coffee. They’ve got like their phone or perhaps their iPad, and they’re browsing through Pinterest. And some of it’s about what they want to do. Some of it’s like what might I want to do? This sort of anticipation, aspiration. This sort of beginning of the experience. And Pinterest puts together these two things which are traditionally separate, right – the sort of exploration/discovery, aspiration/inspiration with like utility. And so that’s a tension within the product that’s really interesting. I think it draws people in, but it can make it really challenging because it would be much easier to do one or the other and that’s not where Pinterest is. It wants to do saving and doing, but it also wants to do discovery. And of course the more saving you do the better Pinterest hopefully gets at making recommendations to you about things that you should check out based on what you’ve done. That’s definitely an interesting part of the product and the tensions within the product, or opportunities and challenges. Secondarily you were talking about did I know that when I was getting in here? I was super interested in discovery systems. I think discovery systems are a really interesting part of the technology sort of landscape at this point in time. As part of discovery systems it’s like moving away from basic search which again is not basic in any sense, but many companies have been able to perfect the “I need this thing – help me find this one thing.” I call that like the needle use case. Right, I need the – help me find the needle in the haystack quickly. That’s impressive and it’s great, but it’s also now become expected. And so when you move into – it used to be called Search and Discovery. When you move into discovery systems that play up the discovery experience first suddenly, yeah you have to be able to help 5 people find the needle which is like perhaps one small moment within a user’s session, but actually the use case of looking through the haystacks is really interesting to people, right. So they’re looking through like haystacks in a field right and they’re like well what’s in this one? What’s this one about? How is this one different than that one? They’re exploring and discovering things that are interesting to them. They spend a lot of time doing that. And then they get to the needle. That’s something that I was already thinking about before I joined Pinterest and I could see Pinterest as having a unique position within that space. The one thing that’s related to that which we don’t talk to users about and it’s a super – I’m not an expert in this, but it’s an intriguing idea – is the notion of the interest graph. Are you familiar with the interest graph as a concept? Gabe:	Okay, so social graph is sort of like, you can think of that as a subset of the interest graph. Steve:	What’s a social graph? Gabe:	The social graph is basically let’s map out with technology all of the people and their relationships to other people. And what’s interesting is like that’s been a very disruptive technology moment in the world today. But what’s interesting about it is that’s a big task – don’t get me wrong – but it’s finite. There’s a certain number of people on the planet at any point in time. Computers can count them, right, very quickly and probably count them real time if they have the information. The relationships between those people, they’re finite. You can measure them. You can ask people like we think these are people you might know, do you know them? Yes I do. No I don’t. That’s interesting, but again – huge in scale, but finite. The interest graph resides over top of the social graph and it’s this concept or theory that we could map out the relation between ideas, objects and people. And that’s really interesting to me and that’s a place I think Pinterest has a unique place to play in within the context of the other technology companies. What’s interesting about it is that the hallmark of humanity is every day we make new ideas, objects and people. So the interest graph is infinite. And if you had a technology that could map it out, so it could tell you which ideas are related to each other, which objects are related to which ideas, which people are interested in which ideas, right. You can do really cool things that are technically cool, but actually experientially cool. Something that actually would make people’s lives better which is most of the interests I have today are limited by what I’m exposed to. Like I only can know about the things that I know about, but if I had a technology that could tell me about something happening on the other side of the planet – in Germany there’s a new type of music scene happening that I don’t know exists today. I don’t know anyone who knows it, but if the technology knew that I would love it and could tell me about it perhaps I would discover it years before I would naturally. Or perhaps I would discover it when I wouldn’t ever have discovered it on my own. And I think that’s really cool. What Pinterest does nicely in that is that everybody is building this sort of interest graph rocket ship, this technology, but the fuel actually makes a difference. So on Pinterest today when people put things together in collections or boards they save them – it’s them. It comes from them. They’re saying something semantically about the objects that belong together to them and have meaning to them. They name that board of that collection and that fuels 100% pure interest. It’s really what I care about. Whereas other companies may have fuel that’s somewhat representative of that. It may be representative of a lot of other things. It may have more impurities into it. So I think Pinterest is uniquely positioned to sort of deliver a consumer experience on interest graph that I’m really excited about. I think it’s a really interesting concept and so one of the reasons I came here was discovery system, interest graph, recommendations. Like this is a pretty interesting moment in time for that sort of technology and one that actually has a real human experience on the other side. Steve:	I love that you ended with the human part. Like that was the last thing that you said in this really amazing kind of romp through some big ideas. And I was sort of reflecting as you were talking that, you know – I mean we’re having a conversation today about research. That’s sort of the context and you’re talking about research, I think, I don’t know, in a unique way. I don’t know if you feel that. I’m kind of laying that on top of you. I mean how is this a research conversation? I’m not forcing you to defend it, but let’s just go meta, like why are we talking about this on Dollars to Donuts? Gabe:	Well I will say that for me when I think of research I think of it as a discipline. Like as a blue-collar type discipline. I don’t think about – it’s a set of practices that you can learn and I think those set of practices can be applied to certain businesses or contexts. And so I don’t think of myself as a – I don’t believe in like super empathy powers. I sort of react negatively to that. I do think research is one way, or one discipline that can contribute to product development, design – service design. There are many that can do it. It’s not necessary to do it, but it can be useful. And so it’s a conversation about the context that research can play in, but also just about what are the duties, the set of practices – what are the things that researchers might think about in terms of their contribution and what they bring to the table. Great researchers I think they really know the sort of on the ground, in the trenches, skills, tools, things they have to do to move forward with the group, but they also have to play this unique role where they pop out and get the bird’s eye view or the broader context and thing about that, but not in a way that distracts the rest of the team. And then they sort of port back down to like the blood and the guts of what we’re doing every day in the trenches to figure out how can I take those observations that are abstract and make them useful for the team and actual for the team. So all research conversations for me, like sort of waver between the two, right. They’re up in the air, really philosophical, abstract, but then also like down on the ground, really practical, really technical. And so that’s probably why we’re having a conversation about like how did you choose where to go next and also some of it was like well I wanted to be in a place where they were going to care about the work that I did, but also there was this huge like theoretical thing that I could learn about in the context of their products. Gabe:	I think there’s certainly like personality differences that attract certain type of people to certain roles, right. And so there’s probably something about that that appeals to folks who are doing research for sure. I also want to make sure to like be clear which is it’s really important to me that as part of that process we’re shipping something. That I can actually see something in the world that I’ve contributed to. Otherwise I would have then stayed in academics. I would have been working at the theoretical level and for me there was something really exciting about work I did at IDEO where I worked on a furniture project and I’ve seen that furniture in the world many, many times. That makes me feel like there was – it’s not just about ideas, it’s actually about building something and doing something. And that’s I think important for me when I hire researchers or when I think about the type of environment I want to be in. It has to be – it can’t just be interesting. It has to be impactful. It has to be action oriented. There has to be something that happens at the end more than an idea. And so that to me is like I like that fluctuation between the tactical and the abstract, but to an end, and that end is to put something into the world that makes it better for people in some way, whatever the “it” is. Steve:	I really like – I agree with you that stuff being interesting is sort of not an end to – it’s really great to be sort of turned on by stuff and like getting new ideas. You know for me trying to put it in a language – I mean what’s the good and bad word now – the A word – actionable. That you know – I don’t know, people go back and forth on whether that’s a good word or a bad word, but I mean I guess in my own career I had – the ship had sailed a long time ago on like measuring my own success by what shipped. And I hear from researchers as well that sometimes it’s frustrating. That – and so I’ve just sort of shifted my own role. Like I’m in the business of helping people see as clearly as possible what decisions they have to make and what actions they have to take in order to ship something, but I can’t – and maybe this is because, you know the difference between being inside and outside of the organization, I can’t measure my own success by what gets shipped or I would just be an alcoholic. But I do measure my own success by – I mean someone said it to me once like oh, what you do is kind of like take someone to the doorway and kind of like open the door and like point them kind of on the way through. Gabe:	I’m probably using like very tacky language when I talk about ship, but I – so to be clear, shipping something can be pretty broad. What I mean is there was a decision made. That there was some sort of result or outcome of the research. And so definitely some of the hardest things I’ve worked on were the shipping moment was convincing someone not to do something. Like that is just as important as convincing someone to do something, in fact it may be harder in some cases because they’ve already decided, no. No, we’re going to do this thing, we’re going to make this product and helping them to understand how that might be a destructive decision for their business. That’s a type of shipping, right. Shipping a decision. So yeah, maybe I’m overly emphasizing the analogy. Steve:	No, I think I’m just one sort of rung before that which is like I think for me I probably ship influence. I empower people to make a decision, but I can’t actually control if they’re going to make that decision. So sometimes you sort of – you learn something, you package it, you convey it and they need to do something. They need to do something. Like the business is just – the world has changed, the business has changed. They need to do something and the other factors are just so large that sometimes doing nothing is the outcome, but you know that you changed somebody’s mind. You gave them – and I’m not trying to undersell what I do. I mean I’m trying to be realistic like I just don’t get to ship decisions as much as I would like to even. I’m going to go drink after this. That’s what you’ve taught me today. Gabe:	Well as long as I’m going with you it’s fine. I think – so one thing you brought up is control. Like I personally have had moments of development where I do not – I try to focus on what’s in my control. I can’t make a team do something, right. They actually have to make the decision. That’s a healthy part of the process and sometimes they will do things that are risky or potentially counter to the recommendations. And there’s a whole host of reasons why that might be. I try to recruit people and hire researchers who are resilient because I do think a huge part about being a great researcher is going out on a limb to say something important, potentially getting knocked down, and getting back up again and continuing to say that. I think really great researchers, in tech especially, they act like it’s a sprint, but they know it’s a marathon and often times at Pinterest we talk a lot about like the research part and delivering that, that’s just the first step. Now the real work is continuing to bring it up with the team. Continuing to make it part of conversations. That takes a long time sometimes. Particularly like if it’s something very meaningful or hard to do. People just don’t, when you deliver like a hey this thing you thought was the case for many years is actually potentially not quite like that. It’s a bit different and you should really think about it differently. Human beings are terrible at that. Like we don’t do that in our personal lives. We don’t just shift our total point of view without some sort of major event, like some sort of like peyote, or some sort of like near death experience. That just doesn’t happen. And so it’s not going to happen at a company or a business and you have to think about that sort of marathon bit, like bringing it up over time. It’s going to take awhile. You have to work at it and you can’t just think you’re going to come in and say no I have the answer, it’s this, and everyone’s going to be like here, here, good job, let’s do it. It’s harder than that. I just think that’s part of the research gig. That’s part of shipping information and inspiration, right. That inspiration bit. It can be very transformative for a designer in a moment, but getting to the long term outcome of that, the result of that usually is isn’t a couple of days. It’s probably a longer period of time. Steve:	So tactically when you are meeting prospective research hires for Pinterest, how do you – that’s – and obviously you look at many things, but how do you look for that? Gabe:	That’s a good question. I think first of all – how do you look for resilience. I think you talk to them a little bit about their career and I ask people to tell stories about the research they’ve done. You ask them to tell stories about, you know, what’s an example of a project that you did that you think showcases your skill set and really shows the best of you. And then you ask them questions about – they talk a lot about doing the research, then you actually have the real conversation of like so what happened next? What did you do? How did you approach communicating that to other people? What were the challenges you faced? And really – because we want to talk about the researchers, researchers, but again I just feel like that’s the smaller part of what we do in a context of an organization. ‘Cuz that’s what we’re good at and we like and we like that and we want to talk about it and we want to make that the big part, but like great – this is like you can build it and they don’t have to come sort of moment. Or even – I heard this great quote awhile ago which was “you don’t have to make a mistake to lose the game” and that’s about context and timing and sometimes like you have a great insight for an organization but the timing is not correct and it’s out of your control and so then what do you do? Do you pack it up and go away? Do you like start making posters and put them up every month? Do you continue to like any time anyone brings up tangentially relation, like oh that’s like what we found in this research from before, are you aware of it? That’s like part of the story of research and try to focus a little bit on that in conversations. Steve:	Is that something you are teaching researchers that you hire? Or does someone have to come in? Gabe:	I don’t think of myself as a teacher. I did not enjoy that part of academic life. I think of myself as a collaborator and I think it’s something we discuss a lot. How are we doing this? What are we – you know deliverables – what’s the nature of deliverables? Trying things – like the one thing I do try to ask the team to do, even when they’re tired of me and of the challenge is like well what’s something you could just prototype? Let’s just try to do something very different. And I think the team itself has built a good sort of muscle around like let’s try it differently to see what happens in terms of communicating and continuing to push those conversations forward. I do think it’s hard at a startup like Pinterest. When I joined I was around – I think there were 3 people in my class who are all still here – or my whatever, my cohort. We were like 70, 71, 72 – pick your number. Now there are 700 people and I think what’s really challenging with research is that you can learn something and communicate it to the entire organization and everyone can hold that knowledge. In the case of a startup like Pinterest where you’re growing – like next week 20 new people are going to start. And those 20 people they don’t know anything about that. And so you have to continue to make sure that people understand – they’re going to come in and say like hey how come we don’t do this and it’s easy just to say like well we tried it and it didn’t work. Or well it’s not going to work. Or, that’s easy. The harder bit is like actually here’s what we’ve learned and here’s why we think that may not be the best way to proceed or move forward and so – that’s a real – like it’s an ongoing challenge of any like company that’s growing quickly, but particularly it hurts researchers because the artifact of what you’ve done is knowledge and knowledge you either have to read it, or communicate it. And so figuring out how to like maybe put it in a space or you create a wiki, but then you’ve still got to get people to go there. It’s a real challenge I think for any researcher at a fast growing company. Steve:	Right. There’s a lot of talk about – you said at scale earlier in this conversation. That you know dealing with insights at scale is a challenge as companies grow and so on. But you’re talking about sort of insights, like insights in the tornado, or insights when the sands are shifting. Steve:	You can have a great meeting – you can – you know all the good things we do in research. We talk to our stakeholders. We bring them along in the process. We bring them out to meet with people. We involve them in synthesis. But over that – say that’s an 8 week process, that team has changed and then two weeks later, after you’ve had some really great meeting to make some decisions and have a workshop and do whatever things that we do. Two weeks after that there’s a bunch of new people and two weeks after that there’s a bunch of new people and two weeks after that. Gabe:	Yeah and also the actual, you know the audience. Like perhaps your insights are stale. The audience has changed significantly, right. Or perhaps the technology, right. The technology itself, there’s like a new innovation that you know we have a new team coming in that’s been acquired and they have like a whole new technology they’re introducing that can really change the context. And so again this notion of in a startup land a research has to again believe – act like – know that it’s a marathon because there’s so much changing and you’re going to have to really stay abreast of all of that and check your own assumptions, check your previous recommendations constantly so that you are really providing the best information you can at that time. Steve:	That’s a really good point and I think that’s sort of the researcher arc, right. You come into a situation. You can tell that everybody’s hypotheses are full of crap. And you’re like okay I don’t know what the truth is, but I know that you’re wrong and we’re going to go learn and you come back with a truth, or a set of truths or a set of things that approximate truths and that you advocate for, but that also – then you could risk becoming part of the problem because now you can kind of clench on those things that you discovered through your own sweat and your own effort in the field, but what you’re saying is those things may have a short shelf life given the changing space that a company like Pinterest is involved in and that you have to let go of those things which is sort of counter to the you’ve got to go – the marathon is kind of about persuasion and advocacy and influence and getting out there and giving that same presentation 20 times to different audiences at the same time as also be willing to let go of it. Gabe:	Yeah, and I think – so there are – I think that is a challenge – a real challenge. I think there are some ways to guard against it, or some strategies. So one strategy at Pinterest, I – my vision for the research team was an interdisciplinary team. Trying to put together both qualitative user experience researchers, of which there are different kinds of qualitative user experience researchers. They’re not all the same. A quantitative user experience research group, market research. Altogether. There’s an economy here in terms of like actually getting things done, but there’s actually, like what it does nicely is it brings together different data points to build the knowledge that we’re learning together. Gabe:	That’s knitting within our own research team right. I think a lot of companies you can have, like those groups can get siloed early on and then you have that moment years later where you’re like well we’re working on the same thing, what’s going on? Or we’re competitive with each other. Trying to put those disciplines together and then what allows – it’s like so work that I’ve done in the past that I still think is relevant, well if it’s still relevant we’re probably still working on it and now we work on it with a perspective of multiple methods. So mixed methods. This is a way to sort of take an idea and really, truly understand it deeply because if it’s – we think it’s – we hypothesize something from the qualitative research then we can hand it off to a quantitative researcher who can then quantify that at scale of which you might learn something that is – you think there’s a correlation between a macro question and a whole bunch of smaller questions. Well if you validate that relationship then you can take that macro question and you can put it in all of your say brand equity trackers for market research and all your markets and then you can measure it there and now what you’re doing it you’re building this interlaced qual and quant sort of lineage of knowledge that over time can become very robust and then you can say now that you’ve validated it at scale and you’ve used multiple methods and you’re monitoring it in each market, well now you can say we know this is a real thing, we’re trying to change it. We can continue to measure it over time with a brand equity tracker and market research to see like are we doing better, are we the same or are we doing worse? That’s super exciting and it’s a way to guard against your own bias, like this is true. Maybe when you get to the step of handing off to a quant person – like no this is not true, it’s scale. Or it’s different – it’s often probably true, but it might be different than what you thought it was. So there’s actually three things going on here, not just one. Or you find out when you pass it over to a market researcher who does brand equity or some sort of large survey, they’re like oh this is true for, you know, Western European countries. It’s not true of Pacific Rim countries. And so – again, bringing in more methods, building out – if it’s an important question, building out different levels of understanding can be really robust and guard against your own bias towards – but I said this before and it was true. It’s still true. Steve:	So in terms of this multidisciplinarity and you’ve kind of said this how you sought to build the team, maybe you can describe the team more specifically and where are you at? Where’s the team headed? Gabe:	Yeah. So we have three qualitative user experience researchers. We have Altay Sendil who comes from IDEO. He has an industrial design background. He was at IDEO as a researcher forever. He brings like a really strong perspective on ethnography and really generative work. We have Larkin Brown who comes – she was previously at Google and she’s like – to me like a real digital UX person and she has a lot of areas of focus. She’s also really into – she serves as a stylist within Pinterest and helps with brand styling and also communication to press around fashion. And then we have Cassandra Rowe who’s – she worked at, previously at Intuit, but really did a lot of international research at Netflix. She was part of their early growth on the qual side. So we have an expert in sort of formative, an expert in digital, an expert in international. Then we have one quantitative UX researcher named Jolie Martin and she is really looking at the intersection of attitudes and behavior for Pinterest. So that’s experiments and – AB experiments and surveys, to truly really understand the quantities and quality of experience. And then we have Paul Pattishall who is on the consumer side doing market research for us – things like brand equity trackers, product surveys, NPS, category deep dives. Like what are the most common interests in France right now for people who aren’t using Pinterest so we might approach them with relevant content. And then recently had Julia Kirkpatrick who joined, who’s doing market research for the business side of the company – Partners Products is what we call it. That’s the people, that’s the disciplines. Again, the important bit is that we’re all working together. We’ve hired people who, they work with a team in an embedded type way, but they also know when – when the team has a question that’s outside their skill set to go to a practitioner within the team to get help and support. We also, you know we’re still – so that’s six people now. We’re adding two more people this year. We’re looking for another quantitative user experience researcher because I think one person is not enough. You have to have two to really be a team so you can play off of each other. And a UX or qualitative researcher to focus on our business or Partners Products. So these are things like the web analytics if you own a domain, or advertising on Pinterest which is something that’s a new area for Pinterest where we can do some really innovative things because of the visual display elements of Pinterest. So we’re adding folks. We’re looking for folks, but the important bit is all those disciplines working together – we’re one team, but you could think of it as three separate teams. But because we’re connected there’s a lot of collaboration and interaction amongst the team members which I think is really – it’s an exciting environment for me as a researcher because people know a lot and you learn a lot and you can pick up a lot of tips and tricks along the way. Steve:	So just thinking to wrap up, as you describe the team and you talked before about – I used the word teacher and you kind of shied away from that term. You said you think of yourself as more of a collaborator and given the nature of how that team is structured and kind of what you have created as a collaborative culture and how you’ve inherited kind of – you’re participating in the larger Pinterest culture – I agree with collaborator. And this is just all a preamble to a leading question – the trouble with interviewing somebody that you know a little bit is that there are certain answers you’re trying to draw out of them. So I’m going to try a few different ways. What – you know in terms of your role as a manager, if it’s not teacher, what would the people on the team, what nouns or adjectives would they use to kind of characterize your managerial jim-jam? Gabe:	That’s a good question. I mean this is my first time managing. So I think my jim-jam is under development. What I strive for is one where they feel like supported. That they – I will – if people ask me for feedback I will give them deep feedback on whatever it is, their deliverable they’re creating because I know in this environment you might not get deep feedback from other people and I think if you’re doing work you deserve to get that feedback. So supportive, probably into the – like I care definitely a lot about research and what we’re doing. So I talk a lot about research. At lunch I’m like the person who’s like, answers the question about what they did this weekend and then follows-up with the like hey let’s talk about this project that’s happening. And so I’m – they would probably say I’m pretty focused on research. So supportive, into the research. I definitely want to empower them to make decisions. So we have a model where they’re working with teams and they are the ones that need to develop the roadmap with their teams. They need to make the calls. I’m there as support. I can provide context. I do a lot of like I – like showcase their work and constantly talk about their work because that’s part of my job is to like hey did you know that Cassandra just did this in Germany with that team, the activation team. You should be aware of that work. That’s a huge part of what I do, connecting the dots at an organizational level. So supporting, you know advocating. Nerding out on research. Steve:	What’s your superpower as a researcher or as a manager? Gabe:	I don’t – that’s a good question. I tend to like shy away from superpowers because I think it’s about like training and practice and whatnot. As a manager, well I don’t think I’m there yet. Like I haven’t done this long enough to really know that about myself. And I have a great team. Like I think I have a lot to learn and a huge part about managing probably is like managing through hard times and I probably need some more of those hard times before I really can assess. Steve:	Careful what you wish for! Gabe:	I know! As a researcher, I mean I care a lot about the work that I do. I think that’s like a double edged sword sometimes because sometimes you have to care a little less. But I think I – it’s a good question. I really – the times I’ve thought – I’ve thought to myself well like I’m pretty good at this thing, but then I’m like that’s just an illusion, right. That’s like I don’t have a special power. I just have a set of practices and things that I try to learn about and do. And so I’m hesitant to answer that because maybe there are no superpowers. Maybe it’s just about hard work and just caring about the details. I can tell you what my weakness is which is I don’t tend to go to conferences enough or get out and socialize enough in the research team. So when someone comes to visit me, to talk about research, or who’s a researcher, that’s huge for me ‘cuz that’s how I try to like understand what’s happening in the world. That’s a moment for me. That’s like my conference. That’s my getting out and interacting with other folks around research and so – ‘cuz I’m pretty heads down. I’m pretty in the trenches, right. And so that’s why I definitely celebrate those moments and I really appreciate when researchers come visit me. I have sometimes students come by who want to talk about their future career or get more information. I tend to like accept more one on one conversations than really approach like group activities, as a way to just get a sense and reflect on what’s going on in the field. Steve:	Is there anything that we didn’t cover in our conversation today? I know we could go and go. Gabe:	We could. I have a lot of things to cover, but I’ll leave it for another time. I do have some questions for you though. Steve:	I don’t even have to ask that! Steve:	Oh your first question! Gabe:	My first question is like what’s the biggest surprise – what’s been most surprising to you in terms of the Dollars for Donuts interviews you’ve done? What stands out as surprising that you didn’t expect before you started this? Gabe:	Okay, this is good. Let me reframe then. What has been the most unexpected theme across these interviews? Steve:	I haven’t synthesized them yet. I mean part of – and you know this is sort of the discipline of research like – and you can do it different ways – you can kind of just go and throw yourself into it and then occasionally you’ll be like oh we haven’t seen any themes except blah, blah, blah, blah. Oh that’s a theme. And so I’m just going to keep thwarting you Gabe. I mean sometimes I resist reflecting and just sort of let it be what it’s going to be. So I mean there are things that come up, but also it’s because I ask about them and then – you know how teams form? What people’s career arcs are? These are sort of the topics that I’ve chosen to talk about, so I don’t know that they’re surprising themes. There’s something that we didn’t get into a lot – there sort of a structural issue that’s emerged from the beginning which is – which I remember this being like a design topic from the 90s and probably goes back before then – where do these people sit? Do they sit with their – are they centralized or are they embedded? So it comes up a lot and I think it’s a really interesting sort of managing – what I like is that no one says this is the right way to do it. People have said like this is what we’re experimenting with now and here’s the tradeoff. So I guess that’s a thing that I would never have thought to ask about and that’s also because I don’t have a job inside a company that has a bunch of research people, so it’s outside my own experience. So I’ve learned about that as a topic and it seems to be one that when I talk to people they say like oh yeah, that discussion and this episode was interesting and we’re thinking about how we’re going to do that. Steve:	We’re going to do it in Oculus. We’re under negotiations right now. Podcasting is over. Maybe it should be – maybe they should be something like – something that’s only – they’re going to be 4 seconds long and then they’re going to disappear. Gabe:	I won’t put you on the spot. This is a more serious question. As a young lad growing up in the cold tundra of Canada during the 70s and 80s, who appreciated donuts, there were 2 major chains. Which was your preferred chain – Country Style Donuts or Tim Horton’s? Steve:	Well I’m sorry. We grew up in the same town. Steve:	And I’m older enough than you that I remember Millionaire Donuts. Do you remember Millionaire Donuts? Gabe:	No, I don’t. But it was the donut of choice? Steve:	Oh I don’t know. I mean Tim Horton’s was kind of the place, ‘cuz Tim Horton’s used to make their donuts in the store. Maybe you’re the one that told me this. They don’t do that anymore. I even went for a job interview at Tim Horton’s as the shift – I didn’t get the job – it was like shift work. You had to make the donuts, like 3 shifts a day. They had these big racks in the back where they would – it was an interesting sort of – I mean I didn’t get to do a lot of research, but I saw how those were made, which maybe everyone knows this, but they like have all the sort of naked donuts there and they like kind of pour over like a big vat of chocolate goo and that’s how they get that sort of drippy thing out their – they just pour it over on these racks. Steve:	Are you – not only are you taking over the interview, now you’re wrapping up. Gabe:	How can you beat naked donuts? Steve:	… and wrap us up. Thanks Gabe, this was great.